The purpose of the IPC Prayer team is to identify a group of people from within our congregation who will support one another, our pastor and the ministry of the congregation with regular prayer. Members of the Prayer Team may or may not be known to each other, some prefer to pray for each other, some prefer to pray alone. We encourage every member to pray in a way that is appropriate for them. ALL prayer requests are to be considered absolutely confidential unless the pastor identifies a specific request is to be shared. Even if “everyone knows about it”, it is NOT our story to tell. There are simply too many ways we can get information wrong, violate trust or accidentally hurt someone at a vulnerable time. By being a member of the IPC Prayer Team you are agreeing to lift up the joys and concerns of the members, families, friends and others associated with IPC in regular prayer. There is no “right” or “wrong” way to be involved in this prayer. There is only regular prayer and “your” way. Normally, prayers for the Prayer Team are shared in the form of emails from the pastor or the church office on an “as needed” basis. Sometimes there are many requests, sometimes few. 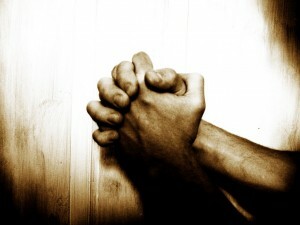 Some prayer requests go to the pastor and are confidential and not to be shared. Those requests, of course, will not come to the Prayer Team.